I’m back in the word mine once more, hacking away at the big bit of marble in front of me, trying to find the beauty within it. Except, this is a first draft, so it’s more like attacking a solid lump of tinned spaghetti with a broken chisel, flailing about randomly, hacking off bits here and there and praying that the whole thing doesn’t just come down around me in a mess of gelatinous and inedible tomato paste. At least, that’s what it feels like. But so far, I’m really enjoying the mess. Over the years, I’ve vacillated between two schools of writing thought: Pantsing and plotting. When I first started, I did the only thing I knew to do, which was to ‘pants’ my writing. If you’re not familiar with the term, it comes from the phrase ‘to fly by the seat of your pants,’ and basically means writing with no real idea where you’re going, to see where you end up. It’s also called discovery writing, and it’s what Stephen King does. 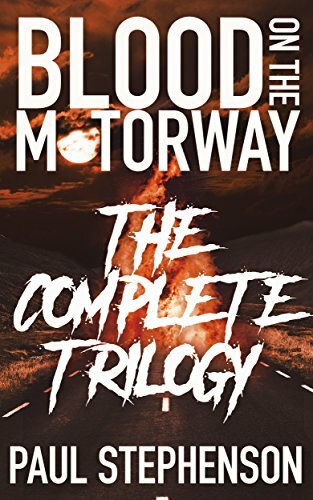 Somewhere in the writing of the Blood on the Motorway series, I decided to turn my hand to being more of a plotter. I was, after all, a PROPER writer now, with a book out and everything, so I should take this thing seriously, and plotting ahead of time seemed like the best way to get a grip on story structure, narrative arcs, and all that jazz. I kept up with this even beyond the trilogy, with the first 150,000 words or so of the Chronicles of Mar being written to a plot outline decided before I put a single word of draft down. It worked well, I think, although the proof of that will come when I come back to write the second drafts. But when I came to do Nanowrimo (the annual writing challenge to write 50,000 words in a month) last year, I was behind schedule and didn’t have a chance to prep. I decided I might as well just pants that chunk, and just chuck it if it came out garbage. Except it didn’t. I was really pretty chuffed with it, and when it came to do the next chunk of writing at the beginning of the year, I did the same again. Now I’m starting back at the word mine once more, and once more I’m going in blind. It’s a really surreal feeling, and I don’t think there’s anything that feels better than not knowing what the 1000 words you’re about to write are going to be about, or where they’re going to take you. It’s bewildering, and surprising, like you’re letting someone else take the wheel and tell you a story, through your own fingers and some kind of story magic. It’s addictive, and I find the words come much easier in this method, even if I know that a lot more work will be needed to whip them into shape than the other methods. So, I guess I’ve put my pants back on. It’s probably for the best.